There are currently more than 44 million people with student loan debt totaling over $1.3 trillion. With so much debt, many college graduates have delayed major life milestones such as getting married, buying a house, traveling, and starting a business. Although student loans can be a financial burden, you can still follow your dreams. Here’s how to get one step closer to living the life you want by reaching these four goals. A 2013 survey by the American Institute of CPAs found 15% of respondents had delayed getting married because of their student loan debt. But getting hitched when you have student loan debt isn’t totally impossible. One of the biggest reasons people delay marriage is the high cost of weddings. In fact, the average wedding costs over $32,000, according to The Knot. 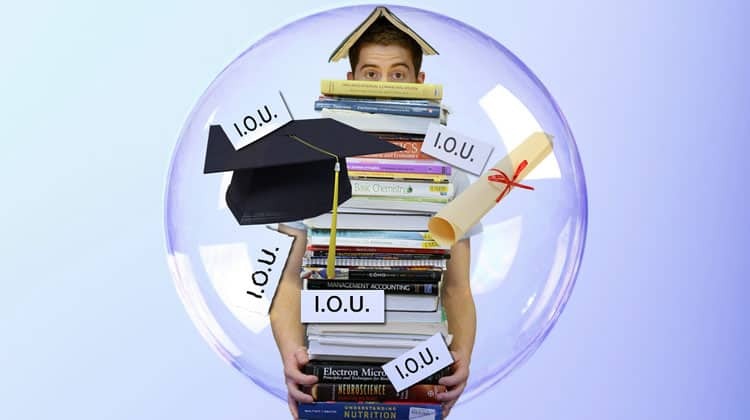 If you have student loan debt, that expense can hurt your finances deeply, reducing your chances of getting rid of your debt sooner rather than later. But there’s no law that says you need the elaborate ceremony, giant guest list, and pricey dress. Getting married can actually be a simple and inexpensive celebration. An afternoon ceremony and a simple dinner can make getting married a financial reality, rather than waiting until you pay off your student loans. Don’t let student loans ruin your dream of buying a house. If you know you can afford the payments, but are struggling to get approved for a mortgage because of your outstanding debt, consider refinancing. Refinancing student loans at a lower interest rate will reduce your monthly payments, freeing up more cash to put towards student loan debt, as well as lower your debt-to-income ratio. Keep in mind, there are some potential drawbacks to consider when refinancing federal student loans (more about the risks here). Even so, this tactic can make you look like a better borrower in the eyes of mortgage lenders. If one of your passions is exploring the world, don’t let student loans hold you back. The best way to travel abroad while keeping up with your student loans is to find ways of earning extra income. If you can, pick up a side hustle or second job to help bolster your emergency fund. Once you have built up a good nest egg, you can set up automatic payments on your student loans. Then you can travel without worrying about paying down your debt on time. Launching a business when you have student loans can be challenging, but it is doable. There are ways to become an entrepreneur and still keep up with your loan payments. Try moonlighting while working full-time to get your side business started. This approach is a smart way to minimize the risk of starting your own company. You’ll still bring in a regular salary, ultimately building your business without risking your income. Once your business is off the ground, you can minimize your expenses and free up cash by refinancing your loans or signing up for an income-driven repayment plan that will reduce your federal student loan payments. You’ll likely get a lower interest rate and lower monthly payment after the process is done which will make your loans more affordable as your business continues to grow. Managing your student loan debt can be a real challenge, but it’s no reason to put your life on hold. With some research and preparation, you can accomplish any of these life goals while still managing your loans successfully. 1.3 trillion?! That’s insanity! I read an article that said if college tuition increases as it has been the past 10 years, it’s expected that tuition will cost 500,000. I forgot if it was yearly or for 4 years, but that’s insane either way!